Get 15% with code "Facebook Promotion". Limited offer. Your wedding day is an important day for you. It is one of the happiest moments in your life. A wide range of joyous emotions will be on display as family and friends celebrate your beautiful union. As your wedding photographer, my goal is to take and make beautiful images of you as well as to photograph as many meaningful candid moments as possible that represent the essence of the day without being a distraction to the event. I take great care in procesing and editing my images. Each wedding has its own unique vibe and I will ensure the finished set of the images honours and tells your wedding-day story. I am currently based in The Hague, Netherlands. 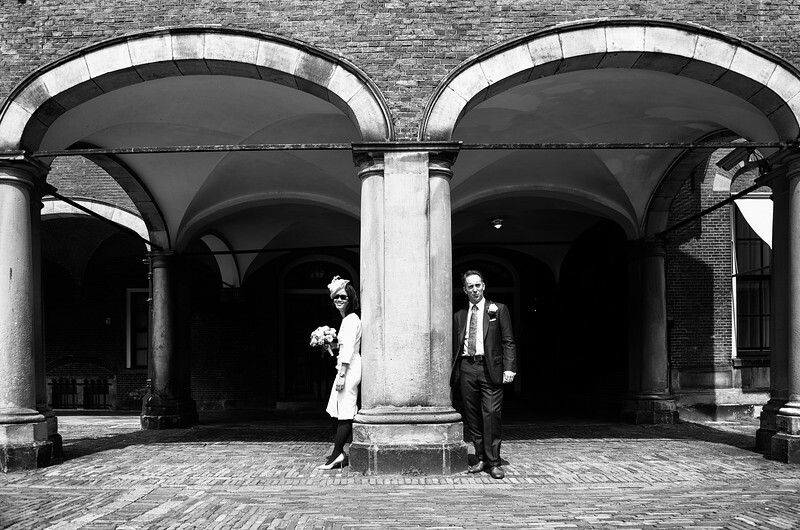 My wedding photography packages start from €1,700 (exc. BTW) for up to 6 hours of shooting coverage on your wedding day. You will normally get around 150-200 of digital images, presented in a beautiful gallery of online album that you can share with your loved ones. Please contact me to discuss the details of your wedding day and your photography wishes. ADDED BONUS: I understand that it may take some time for some of us to get used to the idea of having and trusting a photographer following us around. So, you might have concerns that you would feel awkward and self-conscious being photographed during the wedding day itself. Therefore, I always offer my bride and groom - for no additional charge! - if I can join and photograph them for an hour or so on the day they try out their wedding dress/suit or the day the bride trying out their make up. Besides, you will get to see the images from this extra photo shoot before your wedding day. In my experience these pre-wedding-day images often help my bride and groom to make final, small but important adjustment to their look and thefore feel more confidence about their preparation. Kuswadi Hedeir Portraiture, Wedding and Family Photographer.